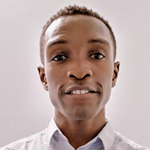 Sola is the Founder of Aurora Medical Innovations, the start-up company devoted to making clinical trial match and enrolment more interactive for clinicians and patients and to increase the match success of patients to suitable trials. Hence cut time to approval of a new drug by between 30-50% and also save costs in the process. He thought of this idea when he was working at a Phase 1 Clinical Research Facility at the UCL and saw how it was sometimes difficult for patients to enrol on a suitably matched clinical trial. This project would be powered by machine learning algorithms and powerful match algorithms similar to ones used by dating sites. Aaniya is a medical doctor who graduated from Imperial College Medical school in 2018. 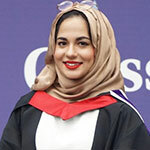 She studied Healthcare Management at Imperial Business School where she finished top of her class and presented her research at national conferences. She spent much of her BSc year investigating how health care professionals can best help declining patients achieve their dying wishes. This involved forming a collaboration with Darzi’s Helix Design Centre at St. Mary’s hospital to create a marketing campaign to tackle the taboo on death and dying. Her interest in healthcare innovation lead her to join the founding team of ’Be The Change’ a national QI competition that won the NHS championship prize in 2016. She went on to complete her medical elective in Silicon Valley, USA, working on Quit Genius, a Y-combinator backed smoking cessation app, with the founding team of doctors, developers and clinical psychologists. She is interested in dermatology and psychiatry – her innovation, Skintelect, aims to increase public access to clinically proven skincare. To wind down, you’ll often find her in a coffee shop reading or sketching. She loves art, coffee and travel which she blogs about on her instagram page @littlecoffeedoc. Faheem Ahmed is a foundation doctor and the youngest appointed Clinical Entrepreneur Fellow following completion of his undergraduate training at Guy’s, King’s and St Thomas’ Hospitals. He co-founded HealthMakeSpace (HMS), a digital collaboration platform connecting SMEs with clinicians to co-create more useful and scalable medtech. Faheem is collaborating with national bodies to develop an accreditation system recognising and rewarding doctors’ innovation efforts through HMS. He has a Masters in Public Health from the London School of Hygiene & Tropical Medicine and has been awarded fellowships by Oxford, Stanford and Harvard Universities. He is also the appointed UK open school lead at the Institute for Healthcare Improvement and permanent council member of the G4 Alliance for Global Surgery, Obstetric, Trauma and Anaesthesia. A paediatric trainee working within the West Midlands with a drive to boost breastfeeding rates and therefore improve child health. There are many challenges facing mothers and armed with personal experience! I will focus my project towards tackling the barriers to public feeding and support. Originally from North Wales and trained in Liverpool (2010) as a dentist, Yasmin was inspired to find out more about public health and the workings of the NHS. 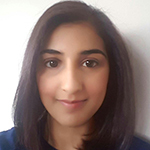 Yasmin has worked in general practice, secondary care, community services and public health, and in organisations including PHE, HEE, Local Authority, CCG and within an STP. Most recent projects include working with the North Central London STP, urgent dental care, part of a project team reviewing Mental Health LTP plans and developing an e newsletter with colleagues for future dental leaders (E-CF). In her spare time Yasmin enjoys drumming, snowboarding and anything outdoors, she has recently developed a travelogue video channel. Her newly developed filming, editing and presenting skills are also being used for dentistry producing videos to illustrate the benefits of digital dentistry, and are being developed for wider healthcare as part of her clinical entrepreneurship post with NHS England. Working on utilising the medium of videos to communicate developments in healthcare transformation to inform and engage frontline staff. Yasmin is also looking at opportunities for collaboration with other clinical entrepreneurs regarding health literacy and communication with patients and the public in different accessible formats. 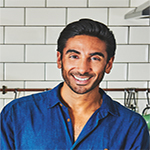 Not only does he create delicious recipes on his website and social medial channels including Instagram, Facebook and YouTube – but Dr Aujla also talks about the amazing clinical research behind the ingredients he uses. He also has a best-selling cookcook – ‘The Doctor’s Kitchen’ – published by Harper Collins. In his role as clinical adviser to the Royal College of GP’s and more recently being accepted on the NHS England Clinical Entrepreneur Programme – Dr Aujla has big aspirations to bring the concept of ‘Culinary Medicine’ to the profession globally. He is also the founder of ‘Culinary Medicine’ – a non-profit organisation which aims to teach doctors and medical students the foundations of nutrition as well as teaching them how to cook. “As a doctor, I see the effects of poor dietary and lifestyle choices every day. I got so many questions about nutrition whilst working as a general practitioner that I plucked up the courage to get behind a camera and literally show my patients how to get phenomenal ingredients onto their plate. I’m just a straight talking doctor giving healthy eating inspiration. Ali Nehme Bahsoun is passionate about education and innovation. He spent much of his time in medical school working at a simulation lab for undergraduates and urology trainees. As a medical student Ali developed a diversity of simulation products and represented the UK at the Urology simulation Olympics in Beijing. Since medical school Ali has worked for a booming medical startup, Touch Surgery, where he delivered the academic validation of the simulator and now leads the product team on how and what to build for the future of the company. Aroon qualified as a doctor from Imperial College School of Medicine. He then went on to train as an orthopaedic surgeon in London. Alongside this, he gained a Masters in Education and completed an executive MBA at Imperial Business School. He has also worked as a management consultant for two years in a Big Four consulting firm. He’s sat on advisory boards for several hospitals, led on several projects, written an Amazon bestseller and is one of the co-founders of Eurekadoc. He is passionate about education; leadership; healthcare; and social entrepreneurship. He cares deeply about improving the ways things run for the benefit of end users as well as the staff on the ground; using time effectively; and respecting people. He believes strongly in the principles of the clinical entrepreneurship program and the value it can bring to patients, staff and the wider NHS family. An internal medicine doctor based in London. Has a masters in Genomic medicine from the University of Manchester and is the co-founder of Span: a digital therapy that aims to treat and prevent type 2 diabetes without the use of medication. Adam has an interest in preventative medicine and is an advocate for aging centered medicine: an understanding of disease that puts aging as the primary underlying cause of most chronic health problems and aims to prevent chronic diseases by understanding and preventing the aging process. Matthew and Surina are co-founders of www.MyLocumManager.com, a financial toolkit designed to streamline and automate the heavy administration burden of locum work for both GPs and for the NHS. Both are passionate about using technology and innovation to improve efficiency and save money within the NHS. Hemal Bhagwan is a Consultant Pharmacist in Data and Audit. He is the Managing Director of DataMAP®, a start up which uses world leading Data Analytics for Medical Data Validation and Intervention, in the United Kingdom. Data affects everything downstream so DataMAP brings Nth degree accuracy, efficiency and outcomes for healthcare organisations and patients. Faraaz Bhatti is a Specialty Registrar in Emergency Medicine and a Clinical Entrepreneur based in the northern half of England. He is committed to positive change and adaptation in healthcare in a world where tech is advancing at a rapid pace. He believes passionately in innovation and sees how vital it is that acute care and the emergency services keep up – for the NHS, its staff and most importantly for our patients. Anish is a Cardiology registrar and Founder of mrimypacemaker. This is a national campaign to ensure pacemaker patients have the same access to MRI scans as everyone else. He is building services through education, service design (locally shortlisted for two awards), national policy and technological solutions. He has previously set up cardiac services in Peru, led conference media teams and developed mobile applications. With the aim of improving patient care, he has combined his clinical experience with an MSc in cost effectiveness and biotechnology; MBA modules; and previous employment in financial services. He has also been awarded a British Heart Foundation Clinical Research Training Fellowship with which he is using 3D machine learning techniques to improve our understanding of heart disease. 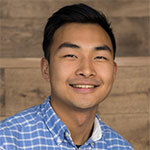 Having completed his Foundation training, Thomas is on the Clinical Entrepreneurship Program to further develop the medical photography mobile application, Pigeon Post. Pigeon Post enables healthcare professionals to take consented photos and securely share them on their smartphones thus improving patient care, while saving the NHS time and money. Natalie graduated from Newcastle University in 2014 before moving to London. In April 2017, her trust was awarded funding for a homeless dental service which she was given the responsibility of setting up. She helped with background work to win additional funding to establish a mobile dental unit in the service. She now helps run this remotely alongside her Special Care Registrar training and Clinical Fellowship with the Office of the Chief Dental Officer working across London, Kent, Surrey and Sussex. Natalie is a keen Blogger with her website ‘A Tooth Germ’ reaching over 300,000 views and has been awarded a place on the NHS Entrepreneur programme 2018 where she aims to establish a social enterprise in order to create access to dentistry for vulnerable people. Peter is a director (knowledge and intelligence) in Public Health England and advocate for public health entrepreneurship and influential public health leadership. He is working on develop a support programme for public health entrepreneurs and an innovative approach to decision making using data science, automation and digital techniques. He wants to hear from anyone who has an innovation relevant to public health. Geoff currently works as a Paediatric Registrar in the Midlands. He has had an interest in NHS innovation since his foundation years, having built a variety of software solutions for local trusts in his area. He has a particular interest in optimising workflows for clinicians through intelligent software design, lessening the administrative burden on medical staff. Geoff is thrilled to have gained a place on the entrepreneurship programme and looks forward to helping to build a better NHS through technological innovations. 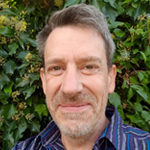 Chris Castle is an enthusiastic GP partner at Westlands Medical Centre in Fareham, Locality Primary care research lead, vice-chair of Hampshire & IOW LMC and Wessex lead of a GP leadership programme – Nextgeneration GP. He has a vision of removing barriers to care whilst achieving professional sustainability through innovation. Combining this with his clinical knowledge of previously working as physiotherapist he has developed a patient facing joint and muscle rehabilitation app – GPEP. Finn Catling is an anaesthetic doctor and machine learning researcher at University College Hospital, London. He is the founder of Decode Healthcare, a startup which uses machine learning to drive new insights, better outcomes and improved efficiency for hospitals and GP practices. Finn is a member of the core advisory group for the Academic Health Science Networks Artificial Intelligence Programme. Previously, he co-founded the medical education startup T-Log and the Data Science for Doctors courses. Sarah Clifford is a medical illustrator who graduated from the University of Southampton Medical School in July. Through years of study during two degrees, Sarah has developed a technique of turning scientific topics and concepts into bright, colourful illustrated notes which make subjects easier to understand and remember. Sarah developed this method further as a private biology tutor during medical school, and has since taken to sharing her work on social media where she now has a combined following on Instagram and Facebook (Sarah Clifford Illustrations) of over 100,000. She now sells her work on her website, and her first notes pack has sold in over 500 colleges and universities across over 50 different countries. She has illustrated resources for various medical companies and has worked with Apple on a number of occasions, including hosting live science illustration events at the flagship store in London. She is now focusing on creating more resources to share. Rob is coming to the end of his anaesthetics training, with an interest in paediatrics. Rob has created Medberry, a health tech start up. Medberry aims to provide simple, quick procedural logbooks to empower professionals to improve their own practice and to free up time to be more patient facing. Jon is a senior general surgical registrar in the south west of England. He is passionate about innovation within healthcare to ensure its long-term sustainability. 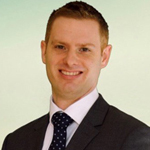 Jon has a detailed knowledge of the UK healthcare system having worked in a variety of areas of the country. Jon is a Co-Founder of Linking Health LTD, which aims to assist international healthcare professionals transition to UK practice, work sustainably within the NHS and support their long-term career development. 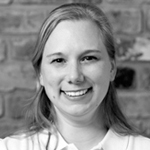 Stephanie Eltz is an Orthopaedic registrar and co-founder of Doctify. Doctify is a platform connecting patients and doctors. Stephanie is passionate about improving transparency in healthcare. 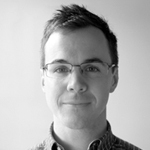 Chris is an anaesthetic trainee, NHS England Clinical Entrepreneur and Bloomsbury Innovation Group clinical fellow. He is doing a PhD at University College London assessing the impact of health technology and innovation on children’s anxiety before an operation. Through virtual/augmented reality and immersive medical devices he is enhancing children’s hospital experiences and improving surgical outcomes. William Farr is a senior research fellow in Paediatric Neurodisability/Psychology in Sussex Community NHS Foundation Trust. His work focuses on rehabilitation for children with cerebral palsy, and diagnostic tools for in-clinic use with children who have neurodevelopmental disorders. He aims to establish a company focusing on the engagement and care of children in clinical settings through digital modalities. Alexander is a co-founder of Nye, an early stage healthcare company with a big dream to build a health system which maximises welfare and an individual’s ability to flourish. He is also a practicing GP and a Doll Fellow at Green Templeton College, Oxford University where he is responsible for the graduate entry medicine programme. He was previously a medical student in Newcastle, a Kennedy Scholar at Harvard University where he studied System Biology and Genetics and was the Head of Research at the King’s Centre for Global Health. 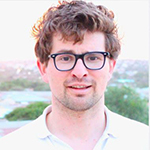 In 2008, Alexander started an award-winning health technology company which delivers health system capacity building in fragile states, with a particular focus on Somalia. Most recently MedicineAfrica and partners were awarded the first of UKAID’s flagship global Higher Education programme, Strategic Partnerships in Higher Education Innovation and Reform (SPHEIR). He likes to ski and play the bagpipes. Sarah Fissler is a Paediatric Registrar at Alder Hey Children’s Hospital who is undertaking Paediatric Emergency Medicine (PEM) Grid training. She is working on a series of Patient and Parent Information Videos to be used within the Children’s Services to provide information to families and improve patient experience. She has also been working with colleagues, IBM and the Hartree facility in using Digital Interface Technology within the hospital to provide an interactive ‘Living Hospital’ environment. See her website for parents H.E.L.P Kids (Health and Emergencies for Little People) found at www.helpkids.co.uk. Sam is a Core Surgical Trainee in the Wessex Deanery. He has been involved in a number of medical innovation projects throughout training, and is co-founder of the secure medical imaging application Pigeon Post. Pigeon Post enables healthcare professionals to take consented photos and securely share them on their smartphones thus improving patient care, while saving the NHS time and money. Alice is a senior Paediatric Occupational Therapist based with the Great North Children’s Hospital (GNCH), one of the first Allied Health Professionals to join CEP and founder of ‘The Sensational Thinking Project’. With a background in Psychology and a specialist interest in Sensory Integration Alice is wholly passionate and dedicated to improving the lives of children and their families with Sensory Integration difficulties, particularly those individuals affected by Autism Spectrum Disorder (ASD). As part of this innovation, and most pertinent to the CEP, Alice is designing a comprehensive, interactive sensory-motor software intervention package which will support inclusivity and participation within the mainstream classroom for children with ASD and sensory integration needs. ‘The needs of children with Autism Spectrum Disorder and Sensory Integration difficulties and their families are not being met and I’m determined to change this. Sensory Integration plays a pivotal role in helping our future generation grow up into young adults who can live happy, productive and meaningful lives- I’m going to harness this along with my core skills of Occupational Therapy, with the advantages of technological advances and make a difference’. Maulik J Gandhi (Mal) has completed his training in Trauma & Orthopaedics (subspecialty shoulder and elbow). He has diverse interests which has enabled him to connect with clinical and non-clinical parties. He received the BOA International Travelling Fellowship to South Korea (July – Aug 2017). He used this fellowship uniquely as a mix of clinical experience and innovation. Mal is passionate about improving teaching methods and the use of simulation. He is part of the British Orthopaedic Association simulation working group. He has assembled an international team to develop an arthroscopic simulation curriculum that spans the UK, India, Brazil and South Korea, and this is drawing commercial interest. Always believing things can be done better, he has developed instrument prototypes which may feature in an operation near you soon! He has managed to gain the support of doctors with his novel ideas that stretch beyond orthopaedics. Will Gao is a clinical medical student at University College London and one of the youngest appointed NHS Clinical Entrepreneurs. He holds a 1st Class Honours degree in Physiology and was awarded the UCL undergraduate research prize as well as the International Physiology Society research prize. Will has a strong in interest in digital innovation and its potential in healthcare and was Chairman of Enterprise and Innovation of the UCL Medical society, and directed the largest student-led MedTech conference of 2017. Will is also co-founder of Suvera, a mobile application designed to ease the burden of medication management for patients. They were winners of the Doctorpreneurs start-up competition. Will also feels passionately about looking after both body and mind. He has a drive to improve quality of lives, and is fascinated about optimising human performance which has led him to be co-founder of Mindful Medic, a bespoke mindfulness course backed by UCL Medical School. Dan is a world expert at hitting balls against walls. He is at the forefront of a sport called “Wallball”, which breaks down the barriers to physical activity in an urban environment because all you need is a ball and a wall. He came to Wallball as a sportsman and has been both a World Champion and Captain of Team GBR, but as he travelled the world he began to see the health and social impacts of Wallball. Played in over 40 countries at its grassroots Wallball is an accessible, inclusive sport for all, which is designed for inner-city low income demographics. Merging his passion for sport with that of medicine he has focussed Wallball into the preventative health sphere and uses it as a powerful tool across the spectrum. From tackling inactivity in schools to developing the sport for people with special needs; from stroke rehabilitation to mental health and beyond. James is a dual trained Engineer and Doctor and is an Ear, Nose and Throat surgical trainee in London. Since medical school he has been developing an implantable robotic voice box to help patients who need to have their own removed. He has taken the idea from conception, built a team around the idea and with that team is developing a prototype device with the help of a £1.4m grant from the Wellcome Trust. healthcare clinic queue management app, DASHclinic, which is part of the NHS Global Digital Exemplar programme at LDUH. Founding DASHmed®, Jim aims to bring clinician-centred design to digital healthcare process, gathering rich data, speed and enhanced customer satisfaction, aiming in turn to be reinforced with voice recognition and a virtual health assistant. Visit the Dash website. Nidhi Gupta is a Consultant in Acute and General Medicine and award winning writer and producer with her own production company Busy Doctors’ Films. She co-founded Clinical Skills Pro, an online portal for comprehensive MRCP PACES video based revision course. Nidhi had worked around the world including with the World Health Organisation and In Papua New Guinea with International SOS. 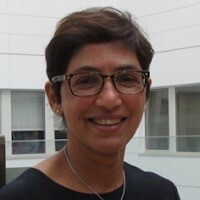 Nidhi also advises the international Optical supply company, Ophthalmic Experts Ltd.
Nidhi currently divides her time between her online medical education business, developing feature films and working in the NHS. Andrew Harrison currently works halftime at Imperial College Healthcare NHS Trust as a senior trauma fellow. Prior to becoming a doctor he had a career as a software developer with Barclays Capital, having studied Engineering & Computer Science at Oxford University. 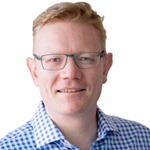 He is the founder of ZeptoMedical Ltd.
Nick is an NHS GP, GP trainer, GP Federation Chair and is the founder and CEO of Digitalis CPD. Nick loves to use and develop technology to bring efficiencies and improve quality of healthcare. Combining this with a passion for medical education he developed the Digitalis CPD platform. The aim is to unlock the learning potential of healthcare professionals. Digitalis CPD was built around the requirements for appraisals and revalidation and the pain points for clinicians in this process, but with strong educational underpinning: identifying and filling knowledge gaps, supporting reflection and dissemination, all with the aim of enhancing healthcare. Paul graduated from Nottingham medical school and spent 14 years in clinical practice across a range of acute surgical specialties, culminating in a higher specialist training in Emergency Medicine. He is the founder of Mantra Medical Ltd, an innovative healthcare startup dedicated to developing real solutions to fundamental healthcare challenges, primarily infection control. Mantra Medical’s devices are the first that are able to deliver cleaning of common pieces of clinical equipment without adding to staff workload in any way. All devices are designed to operate within existing staff workflow patterns, overcoming barriers to adoption and use. Mantra Medical has successfully raised two rounds of Angel funding, has two fully granted international patents, and several concepts in active development. Mantra is now seeking a third round of funding to finalise progression to market. Paul also has a range of other projects including a business offering alternative careers advice to doctors, a healthcare/nutrition startup, and an affiliate marketing enterprise. Dr Sohaib Imtiaz is a Doctor, Digital Innovation Director for the British Society of Lifestyle medicine. He has a Masters in Public Health. He has also spent a year studying at Imperial College Business School where he learnt a diverse range of skills and developed an interest in digital health and behavioural economics. Sohaib is an innovator and was selected to take part in Harvard Business School’s first ever virtual classroom experience taught by MBA professors. He is passionate about using technology such as apps and wearables to get data to optimise health. He believes in exponential thinking and using digital health to help people focus on prevention in order to dramatically reduce chronic diseases in the population. Sohaib is also involved in lifestyle medicine videos for David Lloyd’s social media to help increase awareness in the population. He believes in setting an example for patients in living a healthy life and since an early age always ensured he gets his ‘5 a day’. He hopes he can use his diverse skill set to come up with solutions to help people live healthier lives. Wikum Jayatunga is a Public Health Registrar in the London KSS Deanery, currentlycompleting a MSc in Public Health at the London School of Hygiene and Tropical Medicine.He completed his foundation training in the Oxford Deanery after medical school at ImperialCollege, where he also completed an intercalated BSc in Management. His innovation‘HealthSketch’ is to make health information more engaging for patients using digitalanimation and social media. 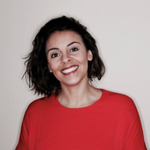 beyna is a London based Occupational Medicine Registrar and Founder of Medic Footprints – the largest organisation for medical professionals exploring alternative careers and wellbeing. Medic Footprints has become a popular and established brand amongst the medical community by taking a non-prescriptive approach in supporting those considering non-conventional career paths. Abeyna was celebrated as a finalist in the Black British Business Awards 2016. Chetan is a multiple award winning Dentist and is the Co-founder of Jiva.ai a Machine Learning/AI company dedicated to spotting patterns in complex and multiple healthcare datasets to aid diagnosis, improve health outcomes and reduce costs. Current projects include Diagnosis of Prostate cancer from MRI, Fetal abnormality detection from US, Colorectal cancer detection form Pathology Slides and Predictive analytics from Population Health datasets. Chetan Qualified in Dentistry and has a 1st class honours BSc in Immunology & Oncology with his thesis developing an exciting anti-cancer protein. He has experience in variety of health sector settings; from secondary care in oral & maxillofacial surgery, to primary care as a dentist in community. Worked at director level within CCG’s as part of his Darzi Fellowship in Clinical Leadership, working on various healthcare improvement schemes. He has Co-founded the successful start-up Smile Cliniq, a leading multi award winning (Best Young Dentist UK, Best Dental Practice London) London Dental Practice, as well as Med Cliniq, a private Medical Practice. His expertise in healthcare data & evidence based marketing has led to the successful start-up Advertising Analytics. Currently on the NHS Clinical Entrepreneurship program to promote Jiva through the NHS. 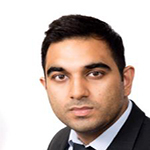 Rahil Kassamali is a specialist registrar in Diagnostic and Interventional radiology. With an ambition for innovation and excellency in medicine he aspires to solve the problems currently facing radiology. To date he has published in excess of 25 articles and has presented his work internationally. In 2012 he was invited to give the key note talk at TEDxBrum talking on the topic of “the next revolution of medicine”. In 2015 he was recognised for his contribution to medicine with the award of Asian Professional of the Year in the category of medicine. 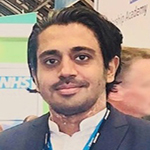 Under the mentorship of the NHS England Clinical Entrepreneur Programme his goal is to revolutionise the delivery of high quality medical imaging reports. His current special interests relate to teleradiology. 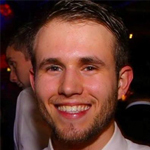 Christopher Kelly is a paediatrics trainee in London, currently doing a neurosciences PhD at King’s College London and the Evelina Children’s Hospital. He is working on an app called NeoMate, which helps doctors and nurses looking after sick newborn babies, providing drug and infusion calculations, checklists and concise reference information. Fahad is a dentist working in Sheffield, who completed his training in Madrid, his interests are in the areas of general, cosmetic and implant dentistry. Passionate about the programme, he is looking forward to meeting like-minded individuals and developing his entrepreneurial ideas on the programme. He is committed to reducing the prevalence of dental decay and erosion by launching new beverages and snacks, whilst also improving patient education. 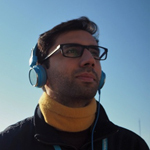 Fahad has a passion for design, technology, photography and video editing. He is easy to talk to, speaks English, Spanish, Punjabi and has a wide range of interests including cars, men’s fashion, travel and business. Muhammad Khan is a Foundation Year 2 doctor and a Clinical Entrepreneur based in the North West. Muhammad is passionate about empowering children’s health and recently, co-founded an award winning initiative known as Our Healthy Future which delivers entrepreneurial solutions to children’s health through open collaboration and innovative solutions. Ryan is a Plastic Surgery Registrar in Oxford, and the founder of two Healthcare start-ups – ASep Healthcare and Lister Care. ASep Healthcare was set-up in 2005 to commercialise Tournistrip, a single-use tourniquet Ryan designed at medical school. Tournistrip is now one of the most commonly used tourniquets in the NHS and is sold globally. Lister Care is a new start-up improving the surgical patient’s journey and optimising the theatre workflow. In addition to his entrepreneurial activities, Ryan is the National Lead for innovation for the British Association of Plastic, Reconstructive and Aesthetic surgeons. Amal Lad is a GP trainee based in the West Midlands. He is passionate about collaborating medicine with creative expression to improve health and well-being. The Programme has given Amal an opportunity to develop Meducasian – a project that aims to change conversations around health in the Asian community through film, music and art. “Hearing Tumours” is an attempt to express symptoms of a brain tumour using music and is the first of the Meducasian series. Aside from being a doctor, Amal is a musician and has composed music for projects varying from verbatim theatre on domestic violence to music for a London hospital art trail to mobilise long stay patients. Qualified as a nurse in 1994 from Southampton University, after spending a year volunteering in India. Richard was previously a medical electronics technician having completed an apprenticeship in military aircraft electronics. Richard is passionate about patient care and the NHS. From his engineering background he sees solutions to everyday problems and rather than living with them, tries to do something about them. He is currently working on a device to improve the safety of intravenous therapy. The device will cause any medical line to separate in a controlled manner if pulled, sealing both sides of the break to ensure sterility of the circuit and easy reconnection. He also has an interest in augmented intelligence, patient monitoring and sensors, drug management and delivery and the concept of ‘virtual wards’. Richard lives in Salisbury, is married with two teenage boys and works on the haematology/oncology ward at Salisbury Hospital. 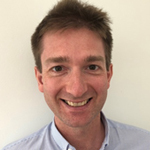 Paul Y F Lee is a senior fellow in the Exeter Hip Unit and recently obtain a consultant post as a Trauma and Orthopaedic surgeon in Lincolnshire. He is the founding director of Consent Plus and committed to improving the consent process for elective surgery. He aims to engage patient and their relatives via an interactive approach to improving their dialogue with the surgical team. Consentplus.com has been featured by specialist society, such as the British Orthopedics Association, Association for Perioperative Practice, Royal College of Obstetricians and Gynaecologists and Nursing Time; as well as by many surgeons, health care professionals, patients and their relatives, this patient based approach has improved the quality of patient pathway and has received funding from the health foundation to further develop the concept. Consultant paediatric anaesthetist, leader, techie, dancer, straight-talker. Developing Team Screen- an interactive electronic dashboard to aid clinicians during cardiac arrest and other life-threatening emergencies. 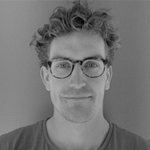 Dafydd Loughran is a Clinical AI Researcher at Babylon Health, and Co-Founder of Surgical Consent with fellow NHS Clinical Entrepreneur Edward St John. At Babylon Health, Dafydd works with machine learning data scientists and software engineers to develop solutions to some of the biggest challenges in healthcare, with the aim of making affordable and accessible global healthcare a reality. Surgical Consent is an electronic and data-driven shared decision making platform, empowering patients to make care decisions that are right for them. 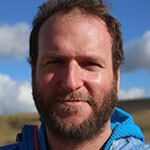 Iain Loughran is a physiotherapist who works in a specialist NHS Musculoskeletal Service. He is the founder of a healthcare based tech company providing AI based diagnosis support for musculoskeletal conditions. The company is in early stage development seeking further investment to support product development. Anna is a physiotherapist based in Sheffield, she currently has a role with Public Health England as a Physical Activity Clinical Champion. She also has a role with NHS England as Cancer Implementation Manager for the Allied Health Professions. Anna has worked in clinical practice, education, research and leadership and has recently completed her PhD at Sheffield Hallam University. Anna is interested in long-term conditions and ways in which people can be supported to remain active, strong and independent as they age. She is working collaboratively on an innovation that uses evidence-based exercise science, public health recommendations along with principles of co-production to create a preventative digital resource. Gauruv Malhan is a Forensic Psychiatry trainee in the Wessex Deanery. Using his passion for innovation, he founded www.map-em.com – the one stop shop for all doctors / other healthcare professionals, which provides hospital specific guidelines/medical calculators/mini drug database/contact directory and a courses and conference finder. Ragav is medical student at University College London with a background in medical physics and bioengineering. So far on his entrepreneurial journey, he’s led the UCL Entrepreneurs Society to raise £15,000 (now recognised as the ‘Best UK University Enterprise Society’), managed the society’s Fund to invest £7000+ in student ventures and co-founded Kickstart London to accelerate 16 student startups since 2015. Currently, Ragav is working to solve the monitoring of chronic diseases (e.g. heart failure) through creating novel digital health solutions. Stephanie is a consultant physiotherapist at the Royal Free Hospital. She completed an MSc in advanced cardiorespiratory physiotherapy from UCL in 2015. Stephanie has a range of clinical experience and expertise, her main clinical focus is the acute and long term management of patients with ventilatory failure and sleep disordered breathing. Stephanie was awarded the award for sustainability through digital from DigitalHealth.London 2017 for her work on remote monitoring of home NIV patients. 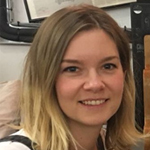 Stephanie is an active researcher, has presented work at national and international conferences and her published work can be found on ResearchGate. Stephanie is passionate about the education of health care professionals and teaches at undergraduate and postgraduate level across a range of disciplines. She is a member of the simulation faculty at RFL, has developed a range of innovative educational resources and supervises post graduate students. 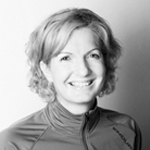 Stephanie is the co-chair for the national consultant physiotherapy group. Stephanie has a real passion for technology and digital health and how we can best harness these powerful tools to; be more efficient, provide increased healthcare value, develop new treatment options and allow our populations to self-manage their conditions, or even better prevent health complications. Stephanie is working with a team developing an innovation using technology to customise therapy to treat patients sleep disordered breathing. Maryanne trained at The Norwich Medical School and subsequently completed her Foundation Training in the Eastern Region. She is a Clinical Research Fellow at Cambridge University Hospitals and has led three regional patient safety projects for the Eastern Academic Health Sciences Network. Maryanne is undertaking a Doctorate at the University of Cambridge and her research interests are in the field of patient safety in the NHS, human factors and the use of innovation solutions to prevent never events and serious adverse events. Maryanne is a fellow of the NHS Innovation Accelerator Programme and two of her safety innovations have been supported the programme: the Non-injectable arterial connector (NIC), designed to prevent wrong route drug administration, and the WireSafe, designed to prevent retained foreign objects. Maryanne is also a founding fellow of the Q initiative. Claire is a Public Health Registrar in the East Midlands. Claire has a background in mental health and substance misuse nursing and completed a PhD at University College London in 2017. Claire is passionate about translating research evidence into practice in order to reduce health inequalities experienced by marginalised populations. Claire is a member of the Women and Harm Reduction International Network (WHRIN), a global network of women who use drugs, academics, practitioners and policy makers, who advocate for evidence based gender sensitive harm reduction services for women who use drugs. 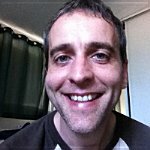 Claire is currently developing a WHRIN website and virtual library which will ensure the meaningful involvement of women who use drugs in the development of gender sensitive harm reduction services by connecting communities, disseminating research evidence and communicating examples of best practice across the globe. Peter chose to join the Clinical Entrepreneur Programme because he is passionate about using innovation to solve the challenges of modern healthcare. Peter work simultaneously as a Highly Specialist Musculoskeletal Physiotherapist and a Trauma Research Associate at the Royal London Hospital. He has a specialist interests in Public Health Interventions, through which clinicians can reduce inactivity in order to combat musculoskeletal pathology and preventable disease. Through this interest, he has developed a concept platform called Enablh which will improve patient access to exercise facilities regardless of socioeconomic status. Nana is a Trainee Clinical Bioinformatician working in the National Genomic Medicine Service. As part of the NHS Scientist Training Programme, he is currently completing an MSc in Clinical Science (Bioinformatics). The informatics skills he now applies to rare disease diagnostics were developed while researching the genetic basis of antimicrobial resistance. Since joining the health service, Nana has been motivated to improve the understanding of genomics for a range of stakeholders in healthcare, as it begins to be mainstreamed in clinical pathways. He is developing creative products, services and experiences that address a range of educational needs. 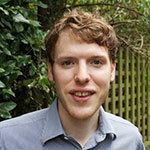 Tom Micklewright is a GP registrar and Medical Leadership Fellow in the North West. With the support of the Clinical Entrepreneur Programme, Tom has worked in collaboration with teachers and schools to launch Head Salad Wellbeing, a company delivering a fun and engaging educational programme to school-age children with the goal of preventing mental illness in later life. Head Salad completed a successful pilot at the end of 2016 and is expanding to secure contracts with more schools across the North West. Stefan Mitrasinovic is an Academic Foundation Doctor with an avid interest in applying digital solutions to healthcare and education. 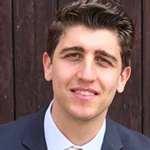 Stefan qualified from UCL Medical School in 2017 and during his education successfully co-founded the UCL MedTech Conference and set up the first student-led UCL Quality Improvement Group, which went on to compete in the National NHS Quality Improvement Championship and achieve first place. His experience in running teams extends to the computer science field, where he has previously co-founded his own game development company, which launched a critically acclaimed strategy game with over half a million downloads. Stefan’s experience from these projects is now being focused into developing healthcare platforms to improve the efficiencies of patient care and presenting data in novel ways. This includes a MND Clinic Patient Dashboard that presents data and trends for both patients and clinicians to utilize. As well as an algorithm driven clinical task list, perfect for collecting a rich source of data and allowing seamless and safe handovers to colleagues. 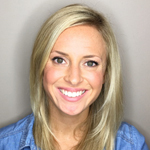 Rebecca graduated from Medical School in 2012 and has subsequently completed two years of Core Surgical Training. Currently, as part of the NHS Clinical Entrepreneur Programme, Rebecca is working on a project uniting her passion for Surgery and Art. Her work tackles the concepts of society stereotypes and the challenges by those living with a disfigurement. 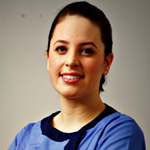 Chloe is a Consultant Interventional Radiologist working in Brighton, who has a passion for radiology art. Using state-of-the-art static and dynamic imaging, she enables us to see the beauty of our bodies, from the inside. Many of us will have had fluoroscopic, radiographic, CT or MRI pictures taken of our bodies, usually to the aid diagnosis. But we don’t all get to admire them. Using these exquisite images to produce unique personalised 2D and 3D art forms, Chloe wants everybody to appreciate just how extraordinary their body is. 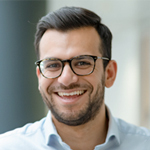 Kinan Muhammed is a Neurology clinical fellow working at the University of Oxford. He was awarded a Wellcome Trust Clinical Research Fellowship to investigate motivational deficits affecting neurodegenerative disorders such as Parkinson’s disease. His research uses a combination of biosensors, eye tracking and brain imaging to understand the mechanisms underlying apathy and is developing new methods of measuring motivation. He was recently invited by TEDxNHS to discuss his work on how understanding motivation can make us healthier. 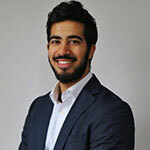 Kinan also has a strong interest in the use of technology in medical education, he is the co-founder of the online learning platform SyriaScholar, which provides remote teaching to medical students in Syria. Andrew Nanapragasam is an Academic Clinical Fellow in Radiology, and the founder of an educational radiology website and multi-platform social media presence operating under the banner “Radiology Nation”. Radiology Nation provides educational videos, hosts live conferences, and delivers topical imaging news to an international audience. If you are interested in hearing more from us, search for “Radiology Nation” on Instagram, Twitter, Facebook, and YouTube. Dr Vishal Nanglia is a NHS Consultant Anaesthetist, Entrepreneur and Machine Learning Ninja. Based upon his Doctoral Thesis ML-EWS: Machine Learning Early Warning System. The application of machine learning to predict in-hospital patient deterioration, Vishal created LifeEngine.Ai [LEAI], which integrates with the hospital to identify deteriorating patients earlier. It tracks patients’ progress, automates repetitive tasks and using evidence-based practice, advises on the best patient management. The LEAI team are currently seeking seed investment and NHS collaborators to integrate LEAI into the NHS. 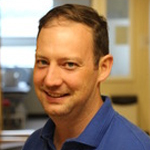 Richard O’Byrne is an Anaesthetics Registrar based in Liverpool and inventor of Ottoley. Working with developers at Horizon Strategic Partners, Ottoley is an app which can be used to offer training opportunities, up to the last minute, in the busy clinical setting. This helps allied health professionals, medical students and doctors of all grades to learn, more efficiently, new skills and allows clinicians who want to teach, create last minute training sessions in areas of interest. If you would like to trial Ottoley in your trust, get in touch via the website. Odhran O’Donoghue is a second-year medical student currently studying at the University of Oxford. At 20 years of age, he is the youngest Clinical Entrepreneur on the programme. He is the lead developer of Interactomy – a software project to help students and doctors learn and remember anatomy more effectively. Odhran has worked in Silicon Valley with the CEOs of Eventbrite, Evernote, and App dynamics, is currently also leading the development of two non-medical startups. His interests are in software, machine learning, neurology, and brain-machine interfaces. Odhran is an Innovation Consultant to a student-run Venture Capital organisation in Oxford, and leads a group of Oxford student entrepreneurs. Lanre Olaitan is an emergency medicine Doctor based in Manchester. Lanre obtained his Bachelor of Medicine and Bachelor of Surgery from the University of Bristol Medical School. He also holds a Bachelor of Science degree in Pharmacology. Lanre is the co-founder of the venture capital backed medical technology startup MedCircuit. MedCircuit is a proprietary algorithmic pre-triage and pre-consultation risk stratification software that improves efficiency in hospital emergency departments and general practices. The technology is deployed in hospital settings and can be used by patients on arrival or prior to arrival. The MedCircuit software alleviates pressures on clinicians and streamlines processes within the NHS. MedCircuit was the winner of the Innovate UK Digital Health Technology Catalyst 2017, and a finalist in the Health Enterprise East Launch Annual Innovation Awards 2017. Medcircuit has received an external funding with a valuation of 2 million pounds. Medcircuit raised the funds from several prominent UK venture capitalist firms and the company is using this funding to expand its operation in the NHS and abroad. 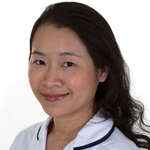 Dr Jing Ouyang is the Academic Foundation Doctor in Endocrinology at University Aintree Hospital and the Peter G Milner Fellow in Medical Innovation and Entrepreneurship at the University of Liverpool. He is currently taking a break from clinical training to work as a Chief Medical Officer for NOVA and clinical innovation fellow at Alder Hey Children’s Hospital. He co-founded an award-winning medical device company called Aergo which develops dynamic postural support seating devices for patients in wheelchairs. 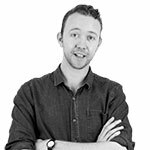 Matt is a specialty Paediatrics Trainee and Clinical Entrepreneur based in the North West of England. He is the Founder of WardWatch, a platform that captures just in time learning to bring clinical teaching into the 21st century. Interests include digital health, user experience in healthcare, education and genetics. An orthoptist who is passionate about raising awareness of eye health and promoting effective partnership working between health and social care in the prevention and management of eye health conditions. She is keen to develop a vision screening application which connects to NHS Digital to boost the rate of sight test uptake especially in care homes. This tool may also facilitate prompt referral when necessary. Thuy is also the founder of Diningforsight, a social enterprise which trains visually impaired people with cooking skills to boost their confidence and employability. 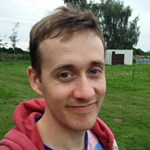 Dr Lewis Potter is a GP registrar and founder of Geeky Medics, an online medical education platform that enables medical students to learn clinical skills at their convenience through the use of an intuitive website and app. 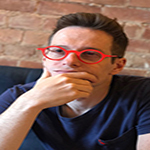 He is currently working on the Geeky Medics Quiz platform which allows medical students to learn more effectively by answering questions in an algorithmically generated spaced repetition quiz. Medical students, paramedics, nurses and physician associates can also teach their peers by creating their own multiple choice question (MCQ) or single best answer (SBA) quiz. Jack Pottle is founder and medical director of Oxford Medical Simulation (OMS), a virtual reality training platform for healthcare professionals. OMS create VR scenarios to allows doctors and nurses to practice with fully interactive virtual patients in immersive medical emergencies, letting them learn from mistakes without compromising patient safety. OMS works in the NHS and internationally to improve access and reduce the cost of world class medical simulation. 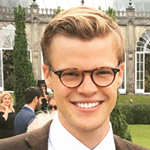 Prior to OMS, Jack was a graduate in psychology, worked as a healthcare assistant, studied medicine at Oxford, was an acute medical doctor and an NHS improving global health fellow. He also ran a non-profit medical education platform called Oxford Medical Education, providing free practical medical education worldwide. Jack is delighted to join the clinical entrepreneurship programme and help expand access to medical training through virtual reality. Zeshan Qureshi is an academic and clinical paediatrician based in London. Through setting up a medical publishing company, Zeshan aims to harness the insights, altruism, and hard work of medical students and junior doctors to produce relatable textbooks for trainees, using a unique ‘flipped publishing’ model. He continues to practice as a doctor, and his research work explores the academic foundation to the philosophy underlying his textbooks. In 2015, Zeshan won the “New Leader” award from the Association for the Study for Medical Education, and this year he won the “Young Author” award at the 2017 British Medical Association Medical Book Awards. Malek is a Trauma and Orthopaedic trainee in South Yorkshire. He has recently completed a Masters in Medical Robotics and Image Guided Intervention at Imperial College London and is currently completing a Master’s in Surgical Education. Combining his interests in technology and education, he is developing a haptic orthopaedic simulator and is the creator of an online surgical video atlas of orthopaedic procedures, having received a BOA award and grant for this work. He is also working with start-ups to develop an AR motion tracking virtual physiotherapy app as well as technology to streamline surgical logbooks. Dr Hinnah Rafique is the Founder and Director of the multi-award winning social enterprise, Generation Medics. Their mission is simple: to inspire and empower the next generation of healthcare professionals. They are the largest social enterprise community run by medics for medics in the UK. Through their innovative programmes, they are building a future pipeline of talent for the NHS. 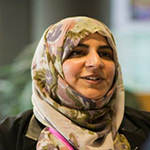 Hinnah, who was named the Highly Commended Social Entrepreneur of the Year in 2016, has been an NHS Clinical Entrepreneur Fellow since the programme began. She has led significant organisational growth during this time, winning six-figure contracts, up-skilling healthcare staff and impacting thousands of young people across the UK. Away from Generation Medics, Hinnah lectures across a number of undergraduate and postgraduate programmes at several institutions including the University of Oxford. Namrata is a General Practitioner and Member of the Royal College of General Practitioners (2014). She is a partner of Station Road Surgery in Frimley, and a Member of the Surrey Heath CCG Governing Body. Namrata graduated from King’s College London Medical School with Distinction, and a BSc with honours in Neuroscience & Neuropsychology. She also completed sub-internships at Johns Hopkins University and Harvard Medical School. Namrata is committed to raising global standards of healthcare through innovation. She has published scientific research on device closure of heart defects in paediatric surgery. 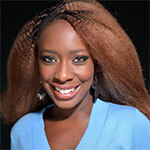 She is also Co-founder and Director of Lister Care, a digital health company which empowers patients undergoing surgery through a mobile communication platform, Lister. Namrata was winner of the London Healthcare Innovation Hackathon, 2016 and Finalist of the London Healthtech Challenge, 2017. Adnan Raja is a medical doctor having completed Core Medical Training in 2015 at the Royal Free Hospital. He then went on to complete an education fellowship before embarking on the Darzi Leadership Programme at the same trust. During this time he designed and implemented a number of improvement initiatives across North London. Examples include developing a trust-wide strategy for Quality Improvement training, systems design of clinical pathways across numerous trusts, promoting service user-led healthcare design, and working closely with Junior Doctors to improve morale and working environment. Adnan has presented his work in national and international forums, and picked up a few awards in the process. He is currently developing a film production company with a focus on healthcare. 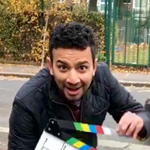 He is keen to combine his passion for filmmaking and his insight as a frontline clinician and NHS manager, to produce films that will impact staff and patient outcomes. Radoslaw is a junior doctor, who is passionate about application of technology to improve patient care and wellbeing. He is currently working on a project which will utilise chatbot and AI technology for self care and treatment monitoring of people with common chronic conditions such as diabetes and hypertension. This will empower patients, educate them about the chronic condition they suffer, and reduce rates of medical complications arising from medications non-compliance and delayed diagnosis. Rosie is a doctor working at King’s College Hospital, London. She graduated with a medical degree and a BSc in Global Health from the University of Bristol. During 3rd year, she developed and delivered training for healthcare professionals in how to identify, safeguard and refer potential victims of modern slavery who present in healthcare settings. It’s called VITA – Victim Identification and Trafficking Awareness and has now been delivered to more than 1,000 healthcare professionals from across Bristol, South Yorkshire and London. Her work and results won Best Poster in Education category at the RCGP Annual Primary Care conference 2017, she was awarded the Alfred Edward Aust Lawrence award 2015 from University of Bristol and won Green Capital Change Maker Gold award 2015 from the City of Bristol. Rosie was appointed as a NHS Clinical Entrepreneur in 2018. Founder of Deep Histology, a company aiming to achieve a fully digital future for histopathology. Using collaboration and technology, Deep Histology aims to accelerate and improve cancer diagnosis and histopathology in the NHS and global healthcare. Ben gained his medical degree from Imperial College in 2007. Since then he has gained a broad experience base across many specialties, hospitals and countries. He is currently a Public Health trainee in the East Midlands, and still works clinically in Emergency Medicine. Interest areas include global health and the role of data and information technology in healthcare. As a public health trainee, Ben has been developing a collaborative project sharing platform and repository with a colleague. It is hoped this will eventually connect work and research throughout healthcare with public health expertise; an early pilot has shown the immense potential benefit of this, particularly in the new landscape of STPs and ACOs. I have realised that research is a path that may lead to innovation, realising the potential to fulfil an entrepreneur journey that can potentially change the world. Without guidance and support it is hard to dig the innovator in you or unearth the potential that can deliver the most exciting worthiness of not oneself but also of the innovation to be delivered. I am interested in pain in trauma and orthopaedics, I believe I have the answer to tackle this problem that can huge impact. I want to deliver a new technology that can tackle pain. Ish is a GP trainee based in the North West of England. He is involved in innovations in primary care, and currently undertaking an infrastructure innovation project in his home town. He is the founder and CEO of “F3’ing It!” – a start up focusing on supporting doctors and providing the best opportunities for those seeking training breaks. The organisation, launched in March 2017, is collaborating with doctors, NHS trusts and non NHS organisations throughout the country. 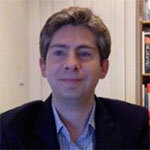 His other interests include teaching, for which he has received multiple awards from the University of Manchester. His latest project involves novel ways of helping international doctors adapt to work and life in the UK. 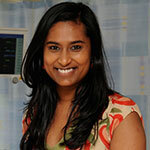 Sunita is a Consultant Obstetrician and Gynaecologist at Chelsea and Westminster Hospital, London. She is a NIHR CLAHRC Northwest London Improvement Fellow and has been granted the Health Foundation Innovating for Improvement award (2019-2020). Driven by the women’s need for more information to care for themselves and their baby, she led the development of the mum and baby app, providing a central repository of clinician validated information digitally. The app is supported by the hospital charity CW+ and Version 2 was Highly Commended ‘Healthcare App- patient centred’ in the Building Better Healthcare Awards 2018. Version 3 has been co-designed for the Northwest London Maternity Services and is in use by women across six maternity units. Work on expanding this to other local maternity services is in progress. Passionate about experiences in maternity services and digital technology, she is leading the development of bespoke in-hospital postnatal clinical care pathway system. The project went live in December 2018 and is supported by the hospital and CW+. Sally has joined the clinical entrepreneur programme in its third year when Allied Health Professionals were invited to apply. She trained as a physio at Guy’s Hospital and qualified in 1990. By 1992 she was working at The Royal Free and had specialised in Obstetrics, Gynaecology and Pelvic Physiotherapy- a field she remains working within in her current post as Team Lead for a dynamic group of specialist Physios at Poole Hospital Foundation Trust and still works on the frontline with patients every day. In 2013, Sally and her Team were finalists in the NHS Innovation Challenge with the FAST service model for pelvic floor care [Fast Assessment Start Treatment] which increased throughput, reduced wait times and was well received by patients and staff. Designing service delivery for patient satisfaction and efficiency is something that she finds motivating and rewarding and she has also worked with her colorectal surgeons to deliver a joint Physio/Consultant pelvic floor clinic weekly at Poole Hospital since 2011. This model of care delivery attracts colleague visits from elsewhere who are interested in adopting it locally. Sally has an idea is for patient self-help regarding The Pelvic Floor. She hopes to make pelvic floor knowledge commonplace and easily accessible, with an impact on as wide a population as possible, prior to engagement with NHS services. She has a particular interest in the role of media and the use of animation in sharing information. 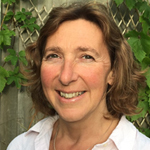 Sally is a full member of the CSP – Chartered Society of Physiotherapists and undertook post graduate studies for full membership of POGP (Pelvic Obstetric and Gynaecology Physiotherapy) which she passed with merit in 1995. Yusuf is the co-founder/CEO at Quit Genius and a medical graduate from Imperial College London. Quit Genius is a mobile app the delivers personalised therapy to help people quit smoking. The app has enrolled over 150,000 patients and has multiple peer-reviewed academic papers behind it. The startup has received venture funding from VC and angel investors including Y combinator and Merck & Co. Previously, Yusuf exited a social networking startup aged 14 and has co-authored 11 peer-reviewed medical publications. He is a Y Combinator alumni and was featured by Forbes on their 30 under 30 2018 list for young innovators, entrepreneurs and leaders. Rahul is an orthopaedic surgeon trainee based in London. His interest lies in quality improvement and is currently creating a platform using technology to improve Best Practice Tariff compliance and hence improve patient care nationally. He has also successfully completed an MD, doctorate thesis on mesenchymal stem cells. This has fuelled his desire to create novel treatment strategies for degenerative joint diseases such as osteoarthritis. Bala is a Biomedical Scientist and Laboratory Information Management Systems (LIMS) specialist. In addition to being Head of the Haematology and Blood Transfusion Department at Homerton, he is also a researcher and data science enthusiast. He has been working in the NHS for the past 14 years. He successfully led the team through UKAS ISO 15189 quality accreditation and MHRA compliance. He has co-authored multiple peer reviewed articles. Bala has an MSc from Sheffield Hallam University in the UK, a BSc and MBA from Kakatiya University in India. His first business venture was to establish a software training company for Sopar – a Canadian charity which operates in southern India. His other passions include Neuroscience & Direction of Scientific documentaries. Dr Kiran Sodha is a GP in Warwickshire and currently studying an MBA at the University of Warwick. Since qualifying as a GP in 2015, he has developed an interest the use of the Internet and technology in improving the delivery of healthcare to fit the needs of the UK population. He is currently creating an online private prescription service, and plans to use his developing expertise in bringing about innovation in the delivery of healthcare in the UK within the NHS. Dr Elliot Street is the co-founder and Managing Director of Inovus Medical, a leading designer and manufacturer of medical and surgical simulators and medical devices. 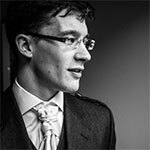 Elliot graduated from Manchester Medical School following an intercalated degree in Anatomical Science before completing his foundation training in the Oxford deanery. Inovus’ products are now in over 50% of NHS Trusts and over 35 countries worldwide; industry customers include some of the largest medical device companies in the world including Olympus, Medtronic, Bard and Cook Medical. Of particular interest to the Clinical Entrepreneur programme is Inovus Medical’s unique Turnkey Commercialisation service. The service utilises Inovus’ knowledge in product design, manufacturing and marketing to bring newly developed medical devices to market. These devices are often developed within Universities or NHS Trusts. If you have a device development in mind or are already involved with a device development then get in touch with Elliot at: elliot@inovus.org. Matt Stammers is a senior gastroenterology trainee with an interest in computer science. His particular interests lie at the interface of data science & predictive analytics, endoscopy/early cancer detection and the relevant application of emerging technologies to longstanding systemic problems. He is currently working on models to predict un-necessary endoscopic examinations & experimenting with smart contracts to see how they might be applied to healthcare in future. Kyle Stewart is a GP trainee developing several different novel medical products that could soon be on a ward near you! Along with two biomedical research projects in collaboration with Exeter University, Kyle is also looking to commercialise some of the unused assets within the NHS to generate wealth for the healthcare sector. Edward St John is a Breast and General surgical specialist trainee in South London. He has also been completing a PhD whilst working as a Clinical Research Fellow at Imperial College under the guidance of Professor Darzi and was awarded a research fellowship by the Royal College of Surgeons of England. He is the founder of OpInform, a digital platform for producing procedure specific, patient bespoke, surgical Consent forms. OpInform has been successfully piloted at a number of NHS trust and won the BAPRAS best process innovation award. Edward has recently joined with SurgicalConsent.co.uk to create a mobile and desktop solution to shared clinical decision making to enhance the process of surgical consent. Edward has published data on the benefits of using electronic consent in comparison to traditional handwritten consent forms. Edward, alongside the SurgicalConsent team plan for NHS wide adoption of their innovative consenting system, for the benefit of patients, doctors and hospitals. In addition to Edward’s experience and expertise in the eHealth and digital consent domains, he has also been working on a research project with the intelligent Knife (iKnife) for the detection of cancer during surgery. He has won several prestigious prizes, presented his work at numerous international conferences and has published extensively in a number of high impact journals. He has a particular passion for the implementation of innovative surgical devices and their potential role in disrupting traditional clinical workflows for the benefit of patients. I qualified from the University of Nottingham in 2006 before completing the Academic Foundation Programme in Trent Deanery, Core Surgical Training in the North West and am currently a Specialty Trainee in General Surgery on Merseyside. My interests are colorectal surgery and surgical oncology, having completed a Cancer Research (UK) Clinical Research Training Fellowship and (eventually) a PhD. I’ve joined the Clinic Entrepreneur scheme to learn the skills to develop tech and software to help improve patient experience and outcomes following colorectal cancer surgery. Inspired by his experiences from either end of the scalpel, Axel founded myrecovery with fellow surgeon-patient Tom Harte to transform the patient experience. Myrecovery is a mobile app that uses award-winning design and self-care tools to inform and empower patients through every step of their preparation and recovery from orthopaedic surgery. By harnessing the power of machine learning and engaging people in their own treatment, myrecovery promotes a smoother, safer and more efficient delivery of care. Chris is the Co-Director and Chief Operating Officer of Dimec, a completely unique App that, thanks to pairings with GP computer systems and pharmacies, allows patients to order repeat prescriptions directly to their GP and be notified when their prescription is ready for collection from their chosen pharmacy. 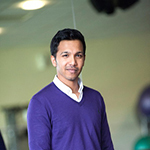 Dane Vishnubala is a GP at the Haxby Group and an NHS Sport and Exercise Medicine Registar ST6. He currently looks after the GB Basketball Senior Men’s Team as well as a range of other professional sports teams. He is extremely interested in physical activity and preventative health with 15 years’ experience in the health and fitness industry. 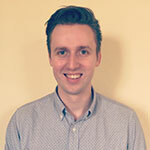 He is the Clinical Fellow on the RCGP Physical Activity and Lifestyle priority and the Lead Clinical Champion in Yorkshire for Public Health England in Physical Activity. 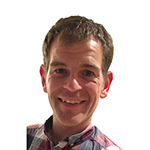 He is passionate about medical education and teaches regularly in physical activity and MSK medicine and has co-written the new Leeds University part time MSc in Sport and Exercise Medicine. 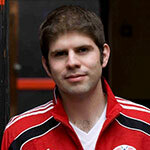 He currently runs a successful fitness education training provider called CORE Fitness Education. 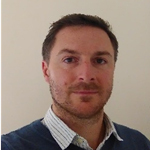 He is passionate about the role Sport and Exercise Medicine as a speciality can play in the NHS and will be using the his role as an NHS England Clinical Entrepreneur to develop an NHS Sport and Exercise Medicine service at York Hospital. 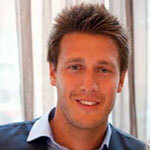 Chris Whittle is an anaesthetic trainee turned entrepreneur, and founder/CEO of MyMed. He is passionate about helping to solve NHS problems with technology. To that end, MyMed is about bringing a free video GP service to those who need it right now. Matt Wilson is an anaesthetic trainee and former Medical Officer with the Royal Marines. He is the founder of uMed; a platform providing personalised knowledge feeds for healthcare professionals which combines the latest research with collective clinical experience to spread excellence in practice. John is a General Practitioner, within a large practice in the West Midlands, who has a proven track record in both developing and implementing innovative service redesign at scale, including the “In-Control” concept, which was an online hypertension management service. His passion is to utilise technology, artificial intelligence and data analytics to transform the way in which patients engage with healthcare services designed to support those living with a chronic long term illness. 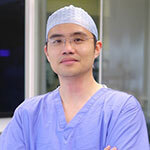 Dr Kit Wu is a senior Neurology Registrar at King’s college Hospital in London. She founded UK Chinese Medical Services (UKCM) in 2017 to improve healthcare access for the British Chinese through commonly available technology. Due to language barriers, cultural differences and social isolation, people form ethnic minorities, such as the British Chinese, do not always receive optimal care from mainstream health services. To combat this, Dr Wu leads a team of 10 senior NHS doctors to provide free medical advice, one-to-one consultations, patient education and health promotion to Chinese people all over the UK. UKCM also provide educational talks to local groups to target vulnerable patients such as those with mental health or the elderly, to promote awareness of illnesses. In doing so, they have empowered patients to better care for themselves and have reduced unnecessary GP and hospital attendances, thereby relieving pressures off the NHS. In less than two year since setting up the service, UKCM has become the largest Chinese health organisation in the UK. A recent BBC documentary has highlighted the benefits they bring to the Chinese community on a national level. They have served over 3,000 regular users to provided more than 4,000 episodes of medical advice. They also have many projects in preparation to expand their services and educational events to benefit even more patients. 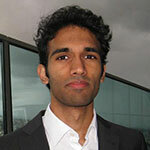 Tejas is an Orthopaedic Registrar training in London and a NHS England Clinical Entrepreneur. He is the founder of knowmyop.com. This is a platform which allows surgeons to create personalised, interactive, pre-operative education tools for their patients enabling them to be better prepared for their operation. 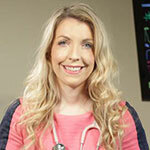 Lydia Yarlott is a paediatric trainee and co-founder of Forward Health. Forward is a platform built by doctors, allowing for secure, compliant and simple communication between clinical teams. Forward’s goal is to connect healthcare teams around the world, empowering health professionals to spend more time with their patients, doing the things that matter. focused on building a platform to teach medical students clinical examination skills around the world. Currently working on CSA Buddy an app that allows GP trainees to practice high quality MRCGP CSA exam cases and get tailored feedback on their performance. He is confident that this will become a key tool for GP trainees in the future. When not working on his projects, he enjoys playing football and directing/editing short films. He has had some of his work featured in film festivals in the UK and attained the holy grail of being on IMDB! Sadly no Oscars, yet. 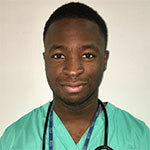 David is a core surgical trainee at Guy’s and St Thomas’ Hospitals. He graduated from Imperial College School of Medicine and studied Management at Imperial College Business School. As a medical student, he founded and was the president of the Imperial College Medical Leadership and Medical Entrepreneurship Societies. He completed an internship at McKinsey, the academic foundation programme at Imperial College Healthcare Trust and went on to found Dialogmed. He is passionate about leveraging technology to improve healthcare delivery to patients. Dialogmed looks to build on this and is a platform connecting patients to heatlhcare providers.